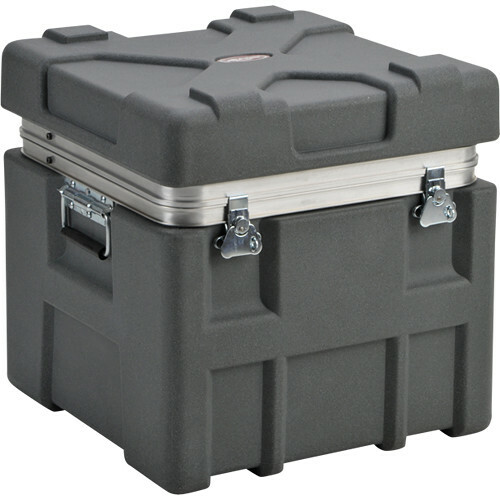 The SKB 3SK-BX1818-18 Roto-X Shipping Case is a square rotationally molded polyethylene shipping container. It can be stacked securely for efficient transport and storage. It has recessed, heavy duty twist latches which will accommodate an optional padlock. There are spring loaded 90° handles. Square rotationally molded polyethylene case for maximum strength and impact resistance. Spring loaded 90° lifting handles. Stack securely for efficient transport and storage. Box Dimensions (LxWxH) 20.25 x 20.0 x 20.0"